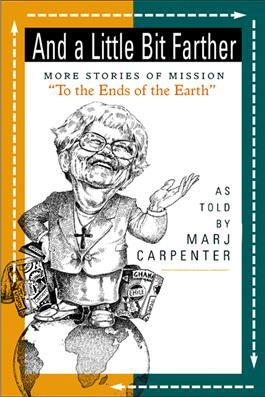 Marj Carpenter--storyteller, journalist, and former moderator for the Presbyterian Church (U.S.A.)--has traveled the world seeking out Presbyterians doing mission work. Now she invites everyone to faraway places like Korea, Bolivia, and the Ivory Coast, stopping along the way to tell stories of mission and faith. Her colloquial storytelling style produces both laughter and tears, but most of all it creates pride in Presbyterians faithfully working for a better world.